Efforts by the ruling New Patriotic Party (NPP) to capture the Salaga Constituency seat of the Northern Region in the upcoming general elections have come under serious threat by a deep split within the party, with the DCE leading one and the incumbent independent MP who plans to run on the ticket of the NPP heading the other. A breakaway NPP group has accused the constituency executives of deceit, corruption, bribery and favouritism to the party's primaries reportedly to be held in June, this year. The breakaway faction of the ruling party contended that if the party wishes to add the Salaga constituency to the parliamentary seats it hopes to win in this year's elections, incumbent independent MP, Hon. 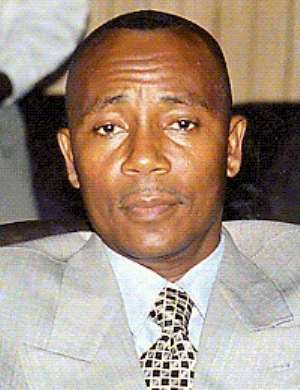 Boniface Abubakar Saddique be made to stand on the NPP's ticket. They argued that the incumbent MP, who doubles as deputy minister of Tourism, has over excelled' to everybody's admiration and any attempt by the party to put a rival candidate would be disastrous. According to the youth secretary, Musa Abdullai, it would be in the NPPs interest to use the man's popularity to take the Salaga seat and that for them, they would support Boniface Abubakar-Saddique notwithstanding which ever ticket he contest on. He said the breakaway group, which he described as the chunks of the party's support in the constituency were angry at the manner the constituency chairman and the District Chief Executive were rushing unpopular candidates to the primaries. However, 'nobody can stand anywhere and declare to stand on our ticket without going to the primaries', Alhaji Sani related adding 'we have given the chance to everybody to contest”. Later in an interview with the DCE, Bismark Dari, who together with the constituency chairman have been accused of sponsoring one of the contestants, he told this paper that 'I am only clearing the place for anybody who is standing for NPP. I don't want anybody to say I have brought someone to contest. No I will take anybody the body chooses round every place in my district and make sure that person wins and I don't mind it its Boniface. Enquiries indicate that attempts to reconcile the DCE and MP Boniface Abubakar Saddique have not succeeded since the DCE has failed to attend such meetings. The deep seated wrangling is happening in the face of directives by President Kufuor that all independent MPs be considered sitting MPs.